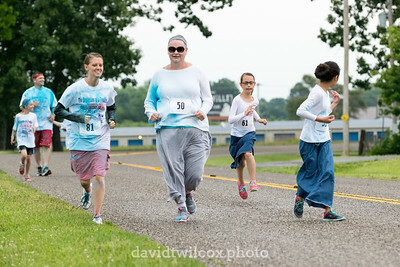 Serymour Kolor Blast 5K in Seymour, Missouri. 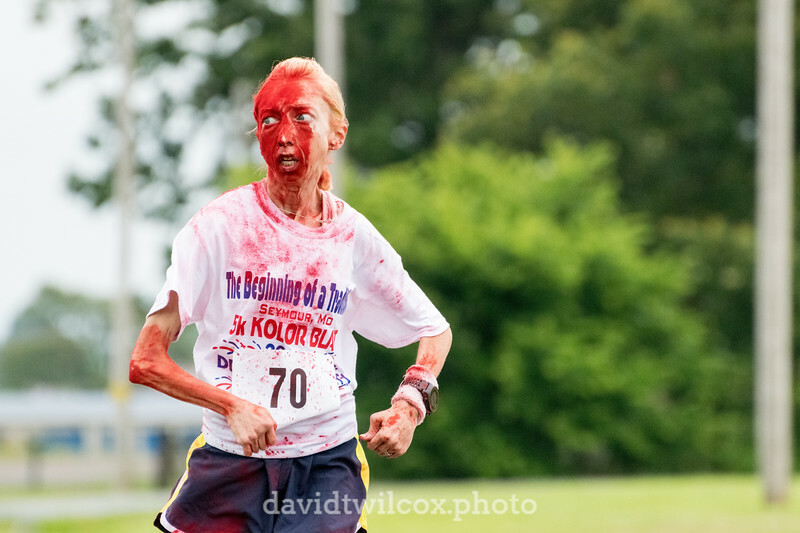 Despite promises to the contrary, Trina Wilcox took a direct splash of paint powder to the face at the Seymour Kolor Blast 5K. Despite the unexpected dye job, she finished as first female. 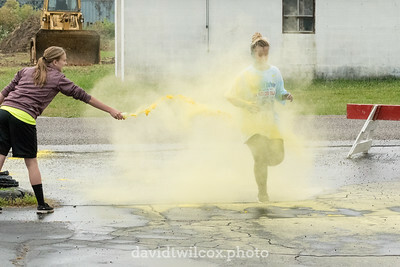 A runner takes a blast of yellow paint powder as she crosses into the parking lot at the finish line of the Seymour Kolor Blast 5K in Seymour, Missouri. 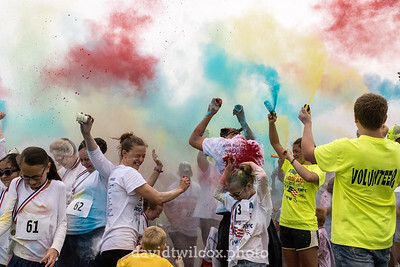 Several colorfully painted runners make the final corner while competing in the Seymour Kolor Blast 5K. 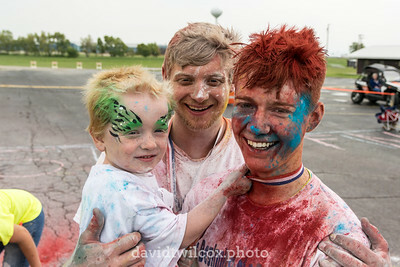 Three colorful brothers pose to show the aftermath of a post race paint fight at the Seymour Kolor Blast 5K.